Shinobi Dogs are 2cm tall. Items that can bury all of the shinobi dogs from the world of NARUTO appear! Hatake Kakashi's Ninja all together! 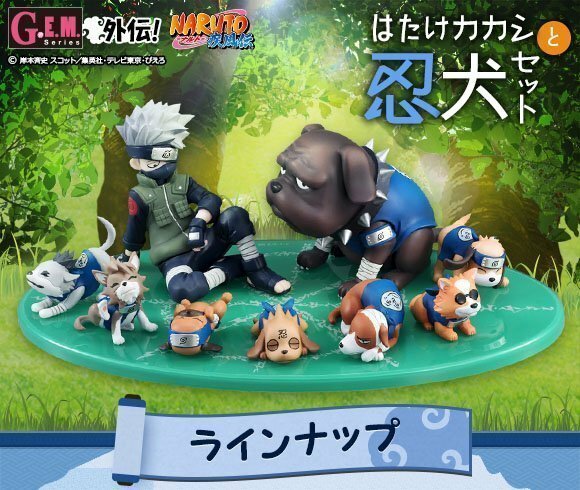 A set of 8 charming shinobi dogs including familiar Pakkon and a contractor "Hatake Kakashi". Of course NARUTO fans are dying items for dogs fans. I am also reproducing stomach and paws.